What are giving circles? They are what congregations call “small groups.” Sociologist Mark Chaves notes the vital role small groups play in the lives of most congregations. He describes congregations as “an aggregate of individuals or, perhaps more appropriately, a group of small groups.”[v] Within congregations these groups form a network of enterprises.They bring people together for initiatives that reflect a rainbow of individual interests and enthusiasms: from choirs to bible studies, to personal and spiritual support groups, to mission and community outreach enterprises. My curiosity scratched, I wondered as to what role – if any – small groups played in the financing of a congregation? I’m not aware of any formal research relative to that question. Yet anecdotally, I have observed that small groups influence their members when it comes to giving and volunteering. Why, because enthusiasm is infectious. We listen to friends and we give to people and causes we know and trust. People give to people! My curiosity led me to have a conversation with John Koppitch, Director of Stewardship at the church I attend. I discovered that small group giving is alive and well, with many involved in supporting specific missions and programs. Sunday School classes are encouraged to select a mission project that appeals to their age and interest. Small groups often participate in the congregation’s larger mission outreach programs. For example, come Christmas the church serves several hundred families and close to a thousand individuals with small groups – such as the church choir – adopting a specific number of families to serve and support. John then offered this caution; small groups are voluntary and church leaders must honor the purpose for which a particular group exists. This suggests that the involvement of a small group in the larger mission of a congregation is likely to be more strategic, reflecting the interest and purpose of the group. It strikes me that there is a kind of irony relative to congregations and small groups. Small groups exist because of the congregations that gave them birth. Yet, many congregations tend to ignore or take for granted the small groups living under their umbrella. It’s my sense that small groups are a fiscal resource yet to be mined by congregational leaders albeit, with respectful and creative prudence. [i]Lilly Family School of Philanthropy: Fresh Perspectives from the world of philanthropy, Andrea Pactor: Giving Circles are Growing Informed Philanthropists, December 6, 2018. [ii]Wall Street Journal: What’s Behind the Surge in Giving Circles, February 11, 2019. [iv]Ann D. Braude, Lake Lecture, Lilly Family School of Philanthropy, Indiana University, 2013. [v] Mark Chaves, Congregations in America, pp. 201-211. 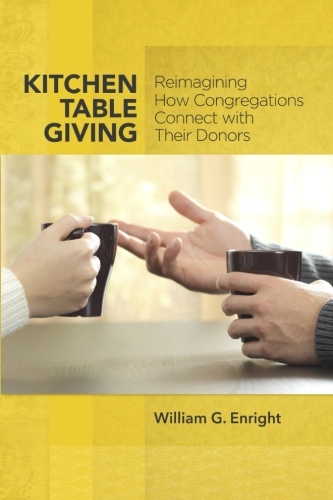 Kitchen Table Giving flips the traditional fundraising focus from the front porch of the church to the kitchen table where donors make their charitable giving. Click here to buy on Amazon’s Create Space. Theme Designed by InkHive. © 2019 Kitchen Table Giving. All Rights Reserved.